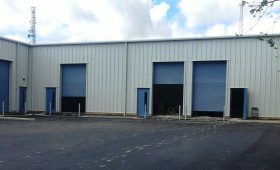 Miracle Span offers a choice of insulated steel buildings using composite insulated cladding to comply with energy ratings for new buildings required by Part L2A Building Regulations. 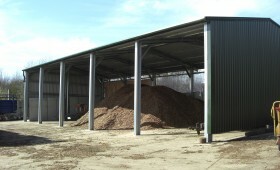 Building regulations require reduced CO2 emissions through the use of better insulation for your steel building envelope. Energy efficient solutions for windows, rooflights, roof ventilators and access doors are also required. Insulated panels used by Miracle Span are extensively tested by the UK manufacturers to ensure effective fire performance and compliance. 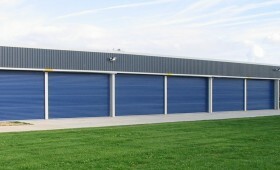 All composite panels supplied have UK insurance industry approval. Our expert advisors can assist you to design your new building to meet prevailing fire regulations. Building Regulations may require fire protection on some, if not all, elevations of your building depending on its use and its proximity to other buildings and public access areas. 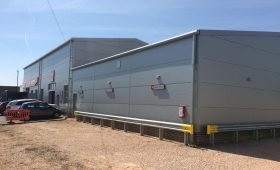 Where there is a requirement for fire protection on certain elevations of your building the cladding installed will need to meet this specification. 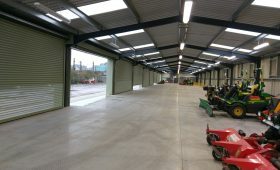 Miracle Span achieves this by supplying insulated panels from reputable UK suppliers which come with a fire rating. Application of intumescent paint on all primary steelwork. Encasing all primary steelwork with a fire retardant board. The application of intumescent paint on primary steelwork can offer fire protection from 30 – 60 minutes, with a minimum of 60 minutes protection usually required. 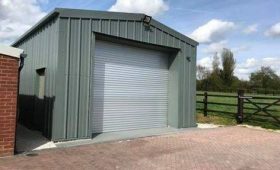 Intumescent paint can only be applied to our Miracle Portal buildings which have a hot rolled steel frame and is not suitable for our MiracleLite, cold rolled steel buildings. Encasing primary steelwork with a fire retardant board can also offer protection ranging from 30-60 minutes upwards with 60 minutes being the most commonly required. This method is used for our MiracleLite range of cold rolled portal frame buildings as they cannot be painted with intumescent paint. 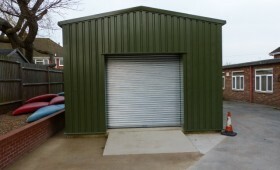 Whilst this method can be used for our Miracle Portal range of buildings it is not generally used as steelwork can be pre-painted before being delivered to site to save on site hours. 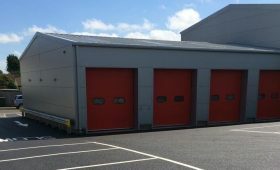 If you do not require your building to be insulated and prefer to use single skin steel profile cladding, all bays on fire rated elevations will still require fire retardant boarding from finished floor level to eaves to achieve the desired fire rating. To find out more about using composite insulated cladding panels for your insulated steel building call or email one of our expert advisors.